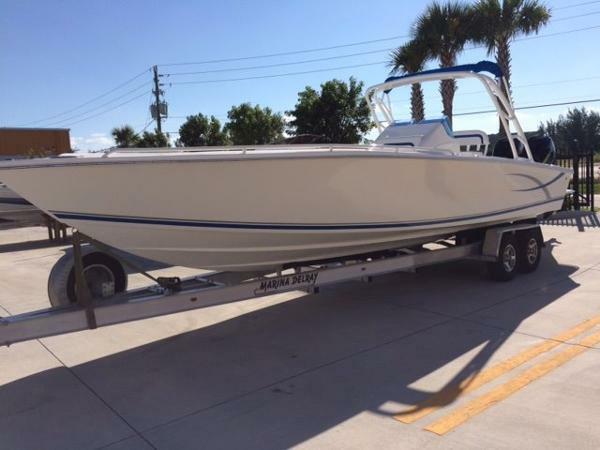 2012 Avanti 33 Center Console/Cuddy This is a stylish ,fast, 60+ MPH, sassy fishing machine and Island hopper. Twin Mercury Verado 300HP with only 10 original hours. This was a dealer buyout. Two large floor fish boxes, two transom live wells, radar arch with bimini top,Full custom boat cover. Mercury smart craft gauge. Space in cuddy cabin for head. Sleeps two. 10's of Thousands of dollars below any 33 CC. TRAILER NOT INCLUDED. YARD TRAILER SHOWN.